Great news for fans of Angry Birds and Roku set-top box! If you’re one of them, you will soon be able to experience highly-popular Angry Birds right from your big TV screen. Roku is expanding its Internet TV platform to integrate casual games through a first of its kind partnership with Rovio (creator of Angry Birds), in order to bring the Angry Birds experience to the TV in this summer. 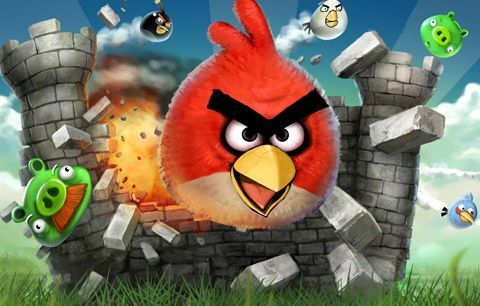 According to the company, Rovio will provide Roku users a trio of Angry Birds features through the Roku Channel Store. It includes Angry Birds Seasons and Angry Birds Rio games, Angry Birds video channel with Angry Birds animated shorts, and Angry Birds merchandising for purchase. The features certain excite many Angry Birds fans, who have consistently propelled Angry Birds to be one of the most popular games in the world. In addition to Angry Birds, Roku is in negotiation with other gaming studios in order to make more addictive video games available on Roku platform in the near future. The new innovative Angry Birds experience is expected to be available on a new version of Roku streaming box with a gaming controller. Anyway, there is no words on the Roku game controller’s details, exact launch date and pricing yet.